When Vulture’s sharpshooter Sam Stubbs clunked a desperate inside 50 kick on the shadows of full time in Mt Gravatt’s Round 18 blockbuster with Surfers Paradise, the fate of his team’s season rested solely on his shoulders. The 2017 QAFL Rising Star winner was no stranger to the big stage though. Already throughout the season had he produced several goal of the year and mark of the year contenders. Ahead of the kick against the Demons, the final of the day, Stubbs had booted 26 goals on the year. He added another as the Vultures pipped the Demons by a mere two points. His after the siren major rescued Mt Gravatt’s season. A loss would have all but ejected the Vultures, who has lost three of their past five games, from the finals bracket, but his last gasp major had saved the home side. Mt Gravatt made the finals, and so too did Surfers Paradise despite the loss in the penultimate round of the season. For the second season running, the Western Magpies were the unluckiest of teams, finishing in sixth place despite having the third-best percentage in the QAFL. Stubbs’ heroics, along with the Lions’ second straight crown, Kent Abey’s 300 game milestone and Sandgate’s early season thriller against the Panthers, became one of the moments of the season. But that moment in particular was indicative of a temperament that encapsulated the entirety of the 2019 QAFL season. 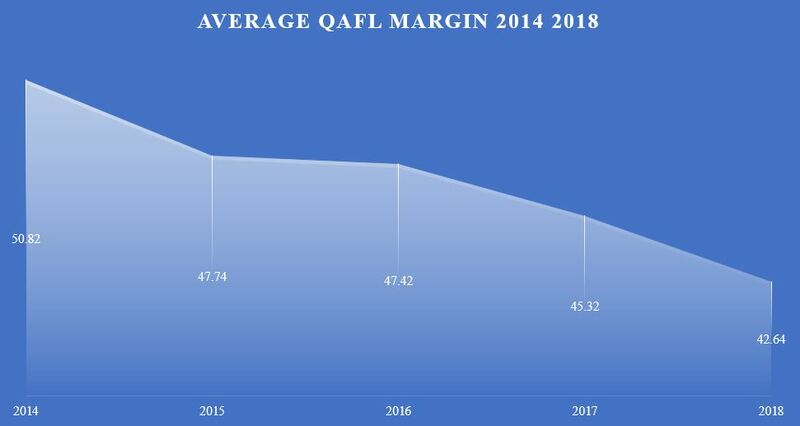 Margins across the 79 games played throughout the QAFL season were the lowest in the five seasons since the reshaping of the competition in the post-NEAFL era in 2014. In 2018, the average margin slumped to 42.64 points – almost three points less than that of 2017 and over eight points fewer than the 2014 season. The term close game is used to refer to contests decided by less than ten points. In total, 11 contests across the year were considered close games. Remarkably, Stubbs’ Mt Gravatt were responsible for three of those ten; the highest tally of any team in the competition. While the occasional blowout still occurs, such was the case in Round 17 when the Western Magpies blitzed Morningside to the tune of 101 points, or when the Panthers did the same the Vultures in Round 9 by 102. But overall, games in the QAFL are getting closer and we only need to look at each quadrants of games to see the shift. One quarter of all QAFL games, around 20 matches in total, were decided by 14.5 points or less – another record low for the competition. Perhaps most remarkably though, the median margin across the competition rested at 29.5 points. 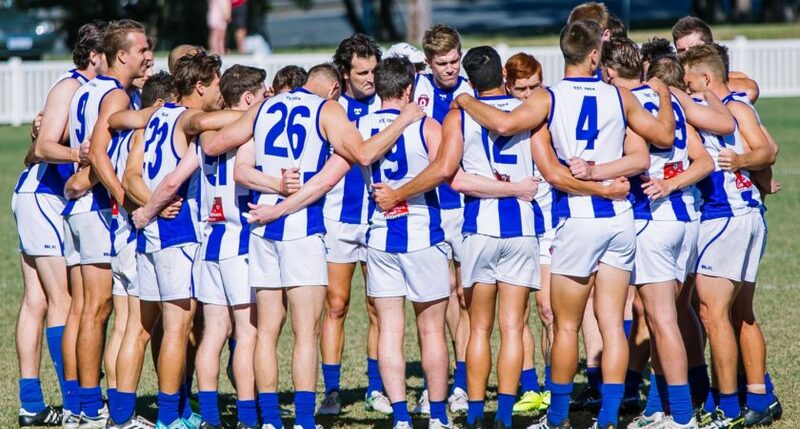 In other terms, half of all QAFL games were decided by five goals or less – also a record and more than 13.5 points less than the 2017 season. Following the loss to Mt Gravatt in Round 18, Surfers Paradise coach Brad Moore was resolute about his side’s final second collapse. “After half time we couldn’t withstand the pressure from a team coming at us,” he said. But as the QAFL competition continues to evolve into a more even contest, the likelihood of another result just like that will only increase and in 2019, who knows what will transpire.